Robert Vadra on Sunday confirmed that he will be campaigning for the Congress for Lok Sabha Elections 2019, polling for which will be held in seven phases, beginning April 11. The counting of votes will be held on May 23. 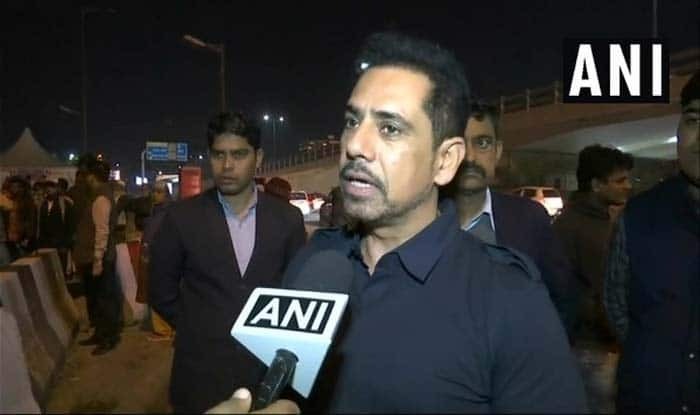 New Delhi: Robert Vadra, the husband of Congress general secretary in-charge for Uttar Pradesh (east) Priyanka Gandhi Vadra, on Sunday confirmed that he will campaign for the party in the wake of upcoming Lok Sabha Elections 2019. “Yes. All over India, after the filing of nominations by Rahul Gandhi and Sonia Gandhi,” Robert told ANI when asked if he will campaign for Congress party for the Lok Sabha Elections 2019. He also added that he will be accompanying the mother-son duo to Rae Bareli and Amethi, their respective constituencies in Uttar Pradesh, at the time of filing of nomination papers. Notably, Congress president Rahul Gandhi is scheduled to file his nomination from Amethi on April 10, while UPA chairperson Sonia Gandhi will file the nomination papers on April 11 from Rae Bareli parliamentary seat. Meanwhile, Union Finance Minister Arun Jaitley took a jibe at Vadra’s decision to campaign for the Congress for general elections. ” I don’t know if this will be an asset for the campaign of Congress party or for the campaign of BJP,” he said. Earlier in March, posters of Robert Vadra, along with Sonia Gandhi, Rahul Gandhi and Priyanka Gandhi were seen near Kaushambi metro station in Ghaziabad. A slogan saying, “Ghaziabad kare yahi Pukar, Robert Vadra abki baar (This time Robert Vadra will come to power in the upcoming Lok Sabha Elections 2019),” was inscribed on the poster. Amethi and Rae Bareli Lok Sabha seats in Uttar Pradesh will go to polls in the fifth phase on May 6. Voting on all 80 parliamentary seats in the state will be held in seven phases between April 11 and May 19. The counting of votes will be conducted on May 23.